Whether you are a first-time homebuyer, have a growing family, or are an empty-nester, Manor Homes has the perfect home and floor plan to fit your lifestyle. With over 30 unique plans to choose from, we're confident that you'll find the perfect home for you and your family. 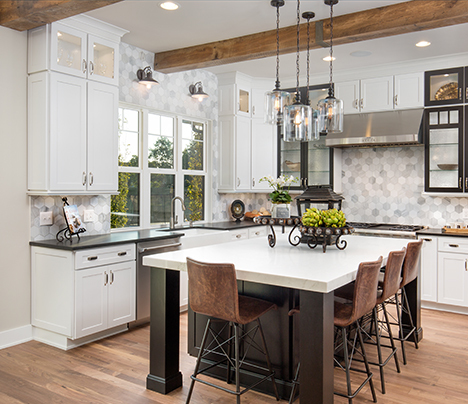 Manor Homes is proud of the diverse array of home designs we offer - everything from ranch-style homes to breathtaking multi-level and two-story luxury dwellings. Large island kitchen with granite tops, stainless steel appliances, & tile backsplash. Hardwood flooring is conveniently found throughout the kitchen, dinette and hallways on first floor. A spacious Private Study, Formal Dining Room, Laundry Room w/cabinets & sink, and 1/2 bath complete the 1st floor. 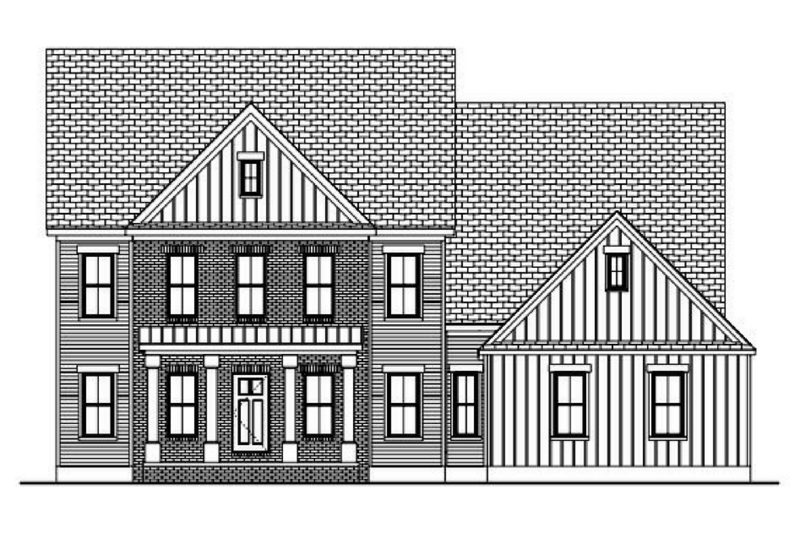 The second floor features 4 Bedrooms, 3 full baths, and spacious master suite with oversized shower, and walk-in closet. This home also has approx. 801 feet of finished lower level space. This property has a green buffer area behind the rear yard of this home and the neighbors rear yard. The community offers bike paths, community center with pool, fitness center & restaurant and open green space throughout Jerome Village. 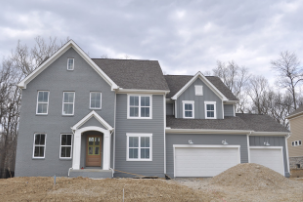 2018 BIA Parade Home at Eversole Run in Jerome Village! Large island kitchen with granite tops and stainless steel appliances. Hardwood flooring is conveniently found throughout the kitchen, dinette and all hallways on first floor. A spacious Private Study, Formal Dining Room, Laundry Room, and 1/2 bath complete the 1st floor. 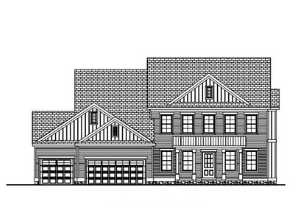 The second floor features 4 Bedrooms, 3 full baths, and spacious master suite with oversized shower, and walk-in closet. 4 Bedrooms, 3 1/2 Baths, Large island kitchen with granite and stainless steel appliances open to the vaulted Great Room with two sided fireplace, 10 ft. Ceilings on first floor, 1st Floor master bedroom with spacious walk in closet, finished basement with daylight windows & wet bar, covered porch at rear of home with view of pond. 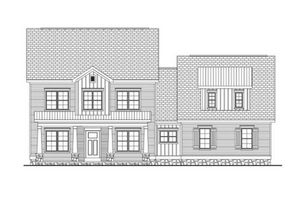 Study, Mud Room with built-in cubbies, laundry room with cabinets & 1/2 bath are on 1st floor. Enjoy the convenience of a maintenance free community. This plan features an island kitchen open to the 2 story great room. 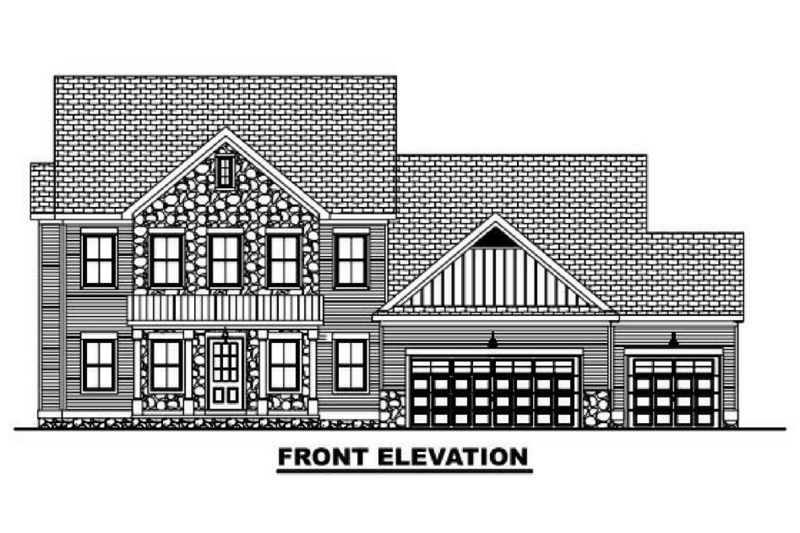 The first floor has a mudroom with bench seat cubbies, laundry room with cabinets, office with double doors and an in-law bedroom with ensuilte bath attached. The second floor master bedroom has a double vanity, freestanding soaking tub, large shower and walk-in closet. The other 3 bedrooms share a hall bath with a double vanity and a separate tub area. The 3-car sideload garage is oversized for ample storage. The walkout basement is setup so the it can easily be finished for additional space if desired. 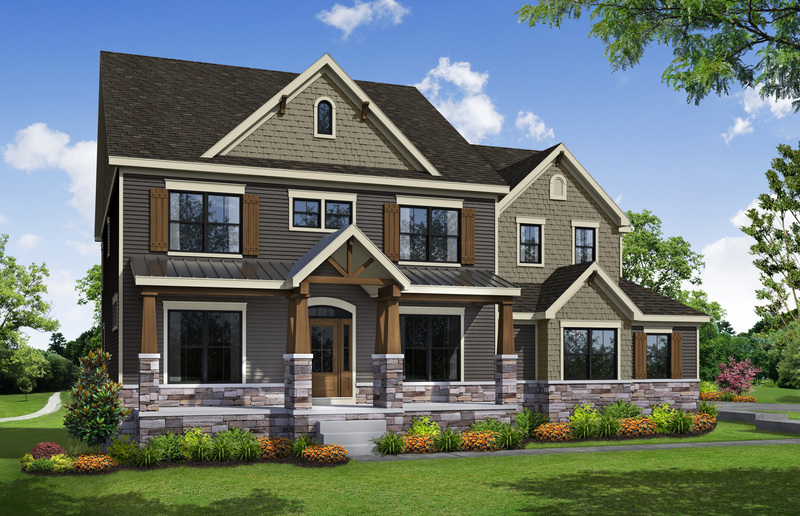 The home site has scenic views of the Olentangy river valley and open green space. This multi-level plan features a large island kitchen which is open to the 2 story great room. The spacious kitchen offers stainless steel appliances, granite countertops, tile backsplash, upgrade cabinetry, hardwood flooring and island seating space. The lower level family room has a wall of glass with a slding glass door leading to the outside. The mid-level master suite has a tray ceiling in the master bedroom, huge custom master shower, large walk-in closet and convenient laundry room with cabinets. The second floor features a bedroom with ensuite bath and the other 2 bedrooms share a jack & jill bath. The first floor also has an office and a mudroom with bench seat cubbies & hooks. The garage is oversized with ample space for storage. 6 Bedrooms, 5 1/2 Baths and large island kitchen with granite tops and stainless steel appliances. 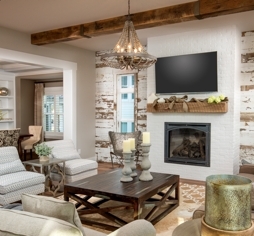 The Great Room features 10 ft. ceilings and a floor to ceiling stone fireplace. The kitchen includes a breakfast area open to the Great Room. A Private Study, Guest Suite and mudroom finish this level. The second floor boast Four Bedrooms, and 3 full baths. 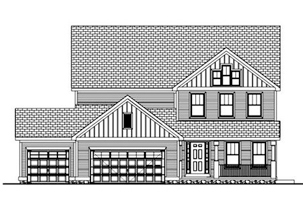 The master suite has a walk-in closet & a large master bath with freestand tub & custom poured shower. 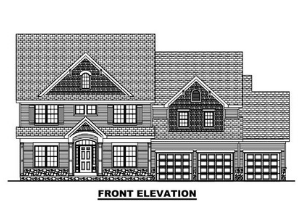 This home also has a 3-car garage and ~1003 sq ft of finished basement space with additional bedroom and a 3/4 bath. Home backs up to a designated open space. Building Industry Association of Central Ohio nominates Brad Yates, Manor Homes as the 2017 Irving E. Schottenstein Builder of the Year. 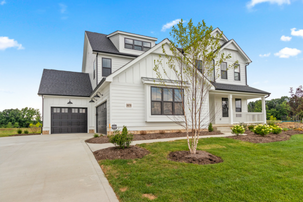 Manor Homes is proud to offer new homes that have earned the ENERGY STAR® label. The ENERGY STAR label means that your new home has been designed and built to standards well above other homes in the market today. 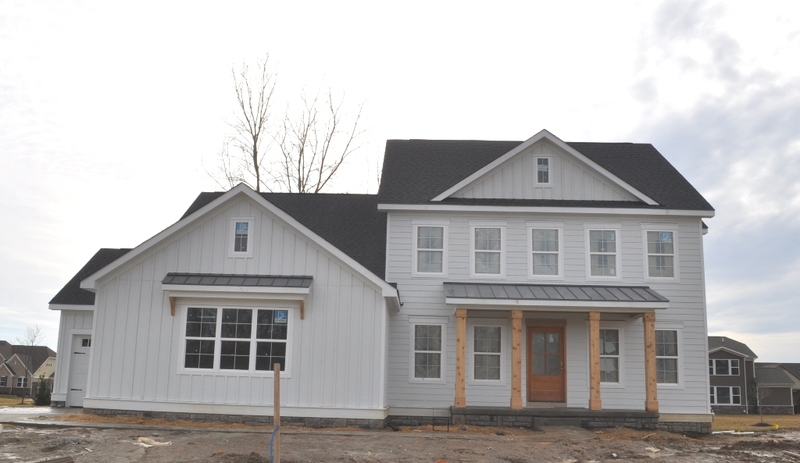 The Building Industry Association of central Ohio announced that the 2017 BIA Parade Foundation Home is built by Manor Homes. 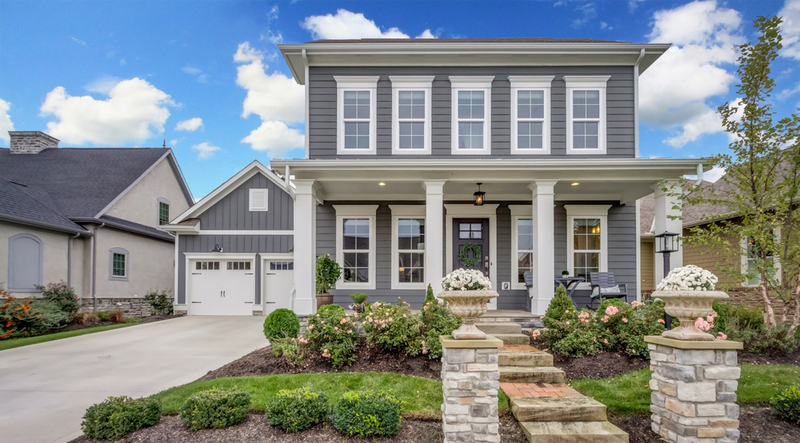 The 2017 Parade of Homes was held at Cheshire Woods in Delaware County and featured nine gorgeous homes built by the region’s top builders.